The northern region of Peru is a beautiful place to visit. Full of monumental archaeological sites, built by the many highly skilled pre-Inca cultures that once thrived here. Chan Chan was the capital of the Chimú Kingdom; its crumbling remains still represent the largest adobe city in the world. Further north, near Chiclayo, the adobe brick pyramids of Túcume, Sipán and Sicán rise massively from the coastal plains. The wealth from some of their tombs is now displayed in new, state-of-the-art museums. Peru is frequently referred as the “Land of the Incas”, yet it could equally be called the “Egypt of the Americas” due to the presence of hundreds of ancient pyramids and the amazing archaeological discoveries that still today take place. Private transfer from Trujillo Airport to your hotel. Dinner and overnight at your hotel in Trujillo. Traditional Peruvian Lunch and Peruvian Paso Horse show. Afternoon visit to Huaca Dragon. Overnight at your hotel in Trujillo. Transfer and lunch in Huanchaco Beach. Afternoon visit to Chan Chan Citadel. Overnight at your hostel in Trujillo. Depart journey from Trujillo to Chiclayo. On the road visit Huaca El Brujo and Lady of Cao Museum. Dinner and overnight in Chiclayo. Private visit to Túcume pyramids and The Sicán Museum. Traditional lunch at Fiesta Restaurant. Afternoon visit to Royal Tombs of Sipán Museum. Dinner and overnight at your hotel in Chiclayo. Private transfer from your hotel to Chiclayo Airport. Upon your arrival at Trujillo Airport you will be met by our Guest Services Representative who will welcome you and transfer to your hotel, where you will be assisted during your check in. Dinner and overnight at your selected hotel in Trujillo. After breakfast, enjoy a half day visit of this beautiful city. Trujillo is a city in northwestern Peru and the third largest economic, urban city after Lima and Arequipa. 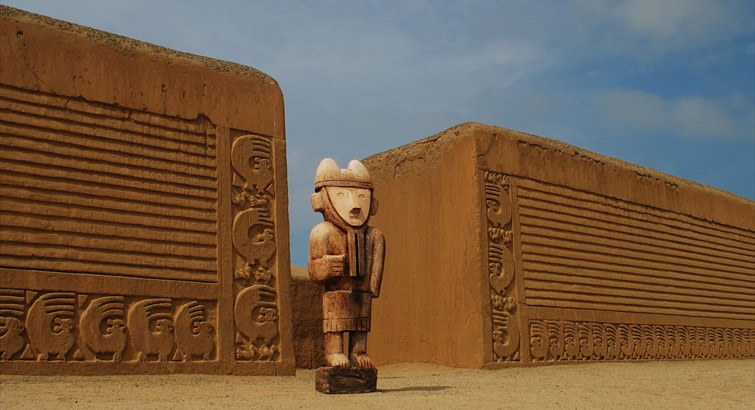 It is located on the banks of the Moche River, near its mouth at the Pacific Ocean, in a valley of great cultural hegemony with Moche and Chimú cultures at its respective time. Called the City of Eternal Spring, it is the home of the Marinera, a typical northern coast Peruvian dance. Trujillo outstands for its fabulous colonial mansions, the picturesque fishing bay of Huanchaco and the spectacular Peruvian Paso Horses. Trujillo City Tour. You will start this tour visiting the Plaza de Armas, surrounded by the Cathedral and XVII century colonial mansions now restored to their full magnificence by local institutions such as: La Casa Urquiaga, built in a neoclassical style, which has a very important historical value in Peruvian history. La Casa Risco, an elegant colonial house of Trujillo was built in the early 18th century, which houses the Museum of Archaeology. 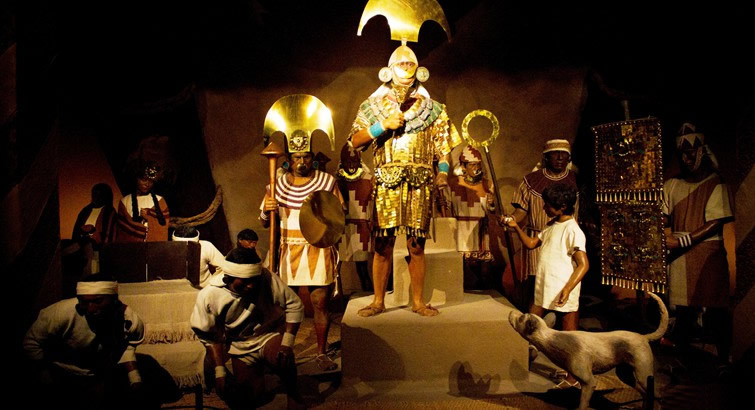 This museum exhibits many archaeological artifacts found in the region especially the Moche, Chimú and Inca cultures. Then we will proceed to visit The Wall of Trujillo, a defensive edification built in the 17th century to protect Trujillo city against attacks from pirates and privateers. You will enjoy a traditional lunch with a Peruvian Paso Horse show. The Peruvian Paso or Peruvian Horse is a breed of light pleasure saddle horse known for its smooth ride. It is distinguished by a natural, four-beat, lateral gait called the paso llano. Peruvian Paso horse has been declared cultural heritage of the nation by the Peruvian Government. 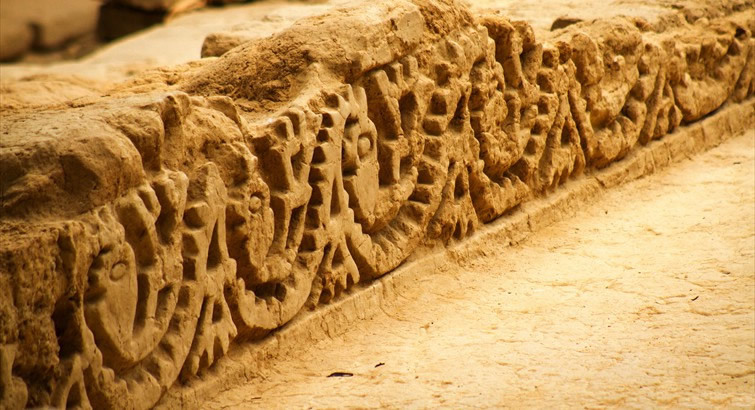 In the afternoon, you will visit the Huaca Dragon, an adoration temple of ritual character. Also called Huaca del Arco Iris. This was a large religious monument, administrative and ceremonial center constructed of adobe, whose murals are decorated with friezes in high relief showing human figures and representing the rainbow. Overnight at your selected hotel in Trujillo. After breakfast, you will visit the Huaca of the Moon, a monument comprised of overlapping temples built during different periods. A tomb was uncovered here, with over 40 sacrificed warriors. At the top of its strong adobe surface there are remains of large multi-colored murals, where the face of the Moche God, Aia Apaek is depicted. Also you will be able to observe, The Huaca of the Sun. A scaled pyramid, which according to tradition, was built in only three days by 250,000 men, using approximately 70 million adobe bricks. 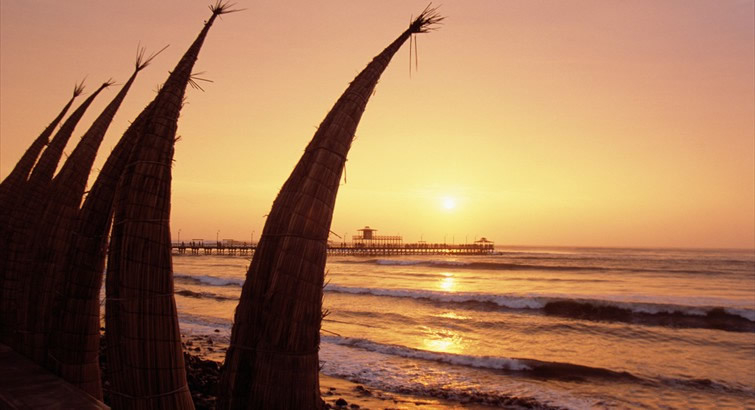 Then, you will be transferred to Huanchaco Beach, where you will enjoy a great seafood Peruvian lunch in one of the most beautiful beaches in the North Pacific Coast of Peru. Here you will be able to see the Caballitos de Totora boats, used for fishing and one of the earliest known artifacts of humanity for surfing, used to ride the waves for work or for fun. After lunch, you will visit Chan Chan Complex, a UNESCO Archaeological World Heritage Site, built by the ancient Chimú Kingdom. Considered the largest mud-brick citadel in the world, this enormous complex is made up of many cities in one, featuring a marvelous rectangular architecture: inner patios, residences, administrative buildings, temples and platforms. Walls are decorated with haut-relief friezes done in geometric and animal figures. After Chan Chan you will be transferred back to Trujillo. After breakfast, you will depart to Chiclayo on a full day private journey. On the way you will visit Huaca El Brujo, where you will be able to see the latest discovery of a female intact mummy named Lady of Cao, also known as the Tattooed Lady, due to complex tattoos on her entire body, that have been found in a ceremonial burial site in Peru. The Lady of Cao Museum holds one of the greatest archaeological discoveries of the last century. Decorated with glittering nose-rings, crowns and necklaces wrapped in exquisite textiles and flanked by weapons of power, which were for the exclusive use of powerful men. This is why some scholars believe that she could have been the first female governor of the ancient Peru. Continuing our journey you will visit Huaca Rajada. This complex lies in the upper-middle section of the Lambayeque valley. Often called Huaca de Sipán, a ceremonial place built by the Moche culture and which was used for burials of people of the highest rank within Moche society. This is where the Lord of Sipán was discovered, a prominent Moche leader, which represents an extremely complex archaeological find, including many dedicatory offerings that were to accompany him in his afterlife, as well as all the items of clothing and insignia that marked his high status. The richness of this tomb is compared to the one of king Tutankhamun. After breakfast, you will start this amazing journey visiting The Sicán Museum, which displays the different daily aspects of the Sicán culture including different process for making pottery and metal crafts. In addition Sicán Museum has an interesting display of the tombs of the Sicán nobility. Then you will proceed to visit Túcume Pyramids. Here you will discover this archaeological site, one of the main pre-Inca complexes in Peru due to the size and quality of the structures. Made up of dozens of adobe mud-brick pyramids built around the sacred Mount La Raya. You will enjoy a traditional lunch at Fiesta Restaurant, one of the most renowned restaurants of Peru, where you will taste some of the delicious northern food specialties. Our last stop will be the Royal Tombs of Sipán Museum, considered the best museum in South America. 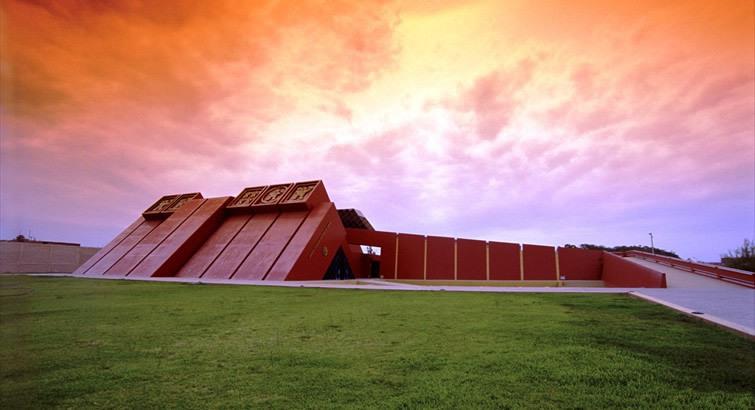 Constructed in the shape of a Moche Pyramid, this modern museum was built to showcase the treasures unearthed from the Lord of Sipán, presenting the most important archaeological remains of the Mochica Culture in an exceptional exhibition of the jewels, emblems and ornaments found in 1987 in the tomb of The Lord of Sipán. Some archaeologists hold it to be one of the most important archaeological discoveries in this region of the world in the last 30 years. Afterwards, you will be transferred back to Chiclayo. After breakfast you will be transported to Chiclayo Airport to board your flight to Lima. In Lima International Airport, our Guest Services Representative will assist you with your departure flight.